A BUBBLING CAULDRON: The Monster Rises - Again! Looks like you just can't keep a bad idea down. Now it's the 19th Street Bridge over the Santa Ana River between Costa Mesa and Huntington Beach. In an earlier post I mentioned the Charter informational meeting. Well, since Monday the Costa Mesa city staff has been scrambling to re-schedule that meeting from the original date on January 5th because the City of Huntington Beach surprised us all with an announcement of a public meeting at exactly the same time on the 5th to discuss the possible creation of the dreaded (in Costa Mesa) 19th Street Bridge! 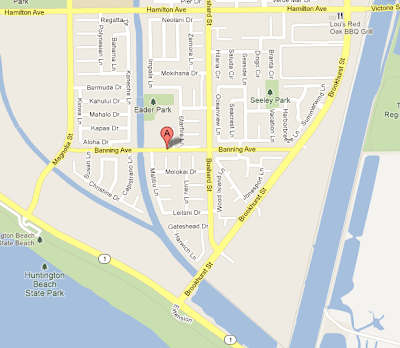 Yep, on January 5th at 7:00 at the Eader Elementary School, 9291 Banning Avenue in Huntington Beach (see map) Mayor Don Hansen will host an open house to discuss the potential of building the bridge. Apparently Supervisor John Moorlach has his mitts in this one because he's theoretically the prime mover for this initiative. Now, cynical guy that I am, I'm wondering why this initiative has surfaced again? The City o f Costa Mesa has held an official position opposing this bridge for decades. In fact, the only public official in my memory who has supported the bridge is Jim Righeimer. Oh, wait - Righeimer and Moorlach! Now I get it! Moorlach has been a fellow traveler with Righeimer in some of his most onerous schemes - this is just the latest. This must be yet another step in the quest that the carpetbagger, Righeimer, is making to take over ALL elements of life in Costa Mesa and leave his imprint on our city - like a big, wet, steaming pile of dung - for decades to come. So, if you're the least bit concerned about a bridge being built across the river at 19th Street, mark THIS meeting on your calendar, too. Man, it's going to be a very, very busy first week of the year! COSTA MESA, CALIF - Orange County Supervisor John Moorlach will hold an open house at Huntington Beach’s Eader Elementary School Thursday, Jan. 5 at 7 p.m. to discuss a potential bridge across the Santa Ana River at W. 19th Street in Costa Mesa. The intent of the meeting is “to solicit feedback from residents regarding the future of a bridge,” which is on the county’s master transportation plan. The evening will include a presentation of potential scenarios with and without the 19th Street bridge and display stations where residents will be able to review various aspects of the proposed bridge and ask questions. The City of Costa Mesa has officially opposed the bridge since 1993. A bridge at W. 19th Street is not among the migration measures required for the approval of the Banning Ranch development in Newport Beach. An informational meeting on a City charter for Costa Mesa originally scheduled for Jan. 5 has been moved to Wednesday, Jan. 4 at 7 p.m. at the Costa Mesa Neighborhood Community Center, 1845 Park Ave., so the two meetings won’t conflict. 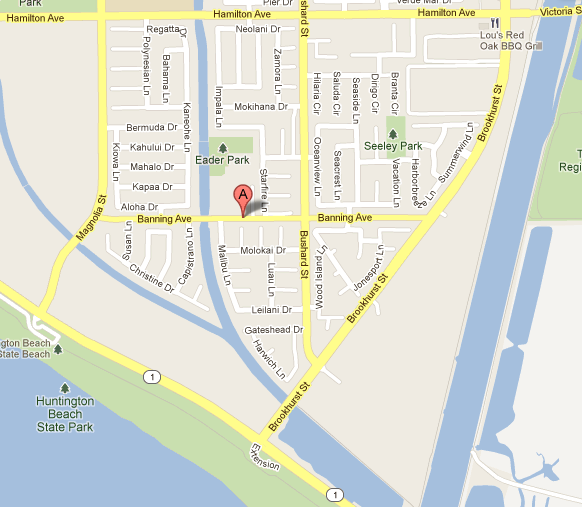 Eader Elementary School is at 9291 Banning Ave. in Huntington Beach. Good thing the meeting is in Huntington. Otherwise there might be some opposition! Lord knows we don't want any opposing views! Thank you Moorlach and Righeimer! Another waste of taxpayer money by big johnny moorlach. Hb has opposed this bridge forever because it is just a way to dump traffic from nb into somebody else's backyard. If newport wants to develop banning ranch, just widen pch and finish the 55. Does Moorlach and Riggie get kick backs from the companies contracted out to build these things ? I can't think that all the labor is purely state/city. I could be wrong. Newport Councilman Rosansky wants to spend 100s of thousands of dollars to study something that people don't want. This needs to be shot down as soon as possible. Horrible idea. Plus, if or when they extend the 57 freeway down the Santa Ana River, this will end up being an offramp and interchange. lol, that's a good point. Banning Ranch is a Newport Beach project. Newport wants to force all of their traffic problems through Costa Mesa so they don't have to live with more traffic, noise, and pollution. lol is right. This is one where I think everyone will agree. 19th Street bridge is bad for everyone all around! Our beaches already have enough people from the Inland Empire. Costa Mesa already has enough cut through traffic. If we get anymore traffic, our city motto will have to change to City of Pavement and Traffic or Cut Through City USA. HB has a Council resolution/official position on file opposing the 19th/Banning bridge. They will have to reverse that one as well. Go Riggy! Go Mensy! Go Monahan! go Bever! Go until you completely peeve every sector of the city, neigboring cities to the point, that the next time we see you, you are reminiscent of Randolph and Mortimer at the end of Trading Places. Moorlach and Riggy are buddies. You know they arranged this meeting intentionally so the Costa Mesa charter meeting would have to be moved and hopefully fewer people will attend. Conspiracy theories have a way of being true when it comes to Righeimer. Hey X, do we need to wait for the vote to voice our displeasure at the idea? No one actually said they were getting kickbacks but the question was posed. They never met a development project they didn't like after all. Has nothing to do with being "haters" (are you 14? ), it has everything to do with being informed observers. X, you are absolutely correct, there has been no vote one way or the other. The problem is your folks, Rig and Moorlach in this case, have so acted in such an unscrupulous manner for at least the last year that most people posting here wouldn't trust them to pick up after a dog. So, as long as these incidents occur, it will continue to feed these theories people are coming up with such as the 19th Street Bridge idea was brought back up in order to deflect heat away from the Charter idea, or so that Righeimer can oppose it in order to have something to show the west side folks he "did" for them.